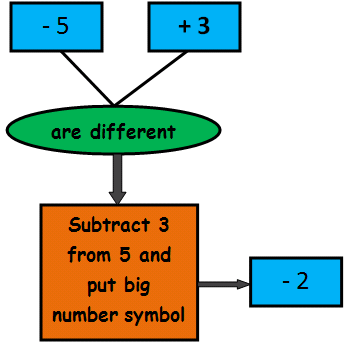 The webpage basic maths is going to provide you some preliminary concepts in maths. Some students will have the feeling that the subject math is very though for me. Actually it is not like that. If some one will guide them from the basic level, they will feel better. We have designed this page especially for those kind of students. How to add two numbers with different signs? 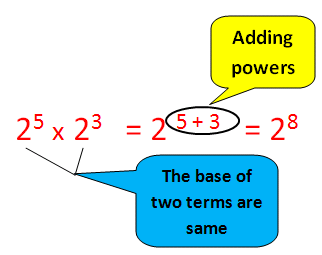 Let us see example problems on adding integers of "basic maths"
For more examples please visit the page "adding integers with different signs"
Let us see the next concept of "basic maths"
Let us see example problems on exponents of "basic maths"
For more examples please visit the page "Exponent rules"
To convert the given fraction into decimal, first we have to check whether the denominator of the mixed fraction is convertible to 10 or 100 using multiplication. If it is convertible to 10 or 100 using multiplication, we can convert the given mixed number into decimal as explained below. 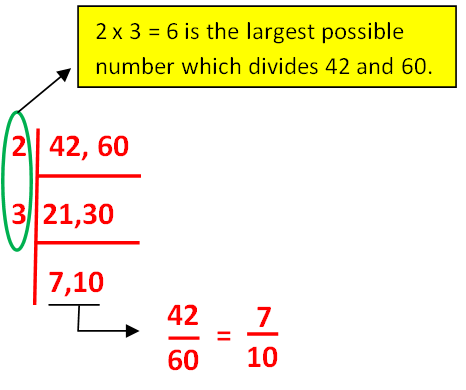 For more examples please visit the page "Fraction into decimal"
Here, we explain two methods to add two fraction with different denominators. If the denominators of the fractions are co-prime or relatively prime, we have to apply this method. For example, let us consider the two fractions 1/8, 1/3. 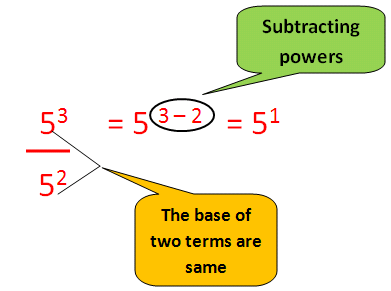 In the above two fractions, denominators are 8 and 3. 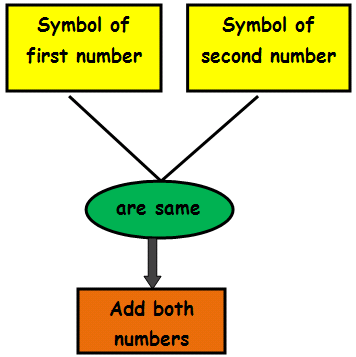 For 8 and 3, there is no common divisor other than 1. So 8 and 3 are co-prime. 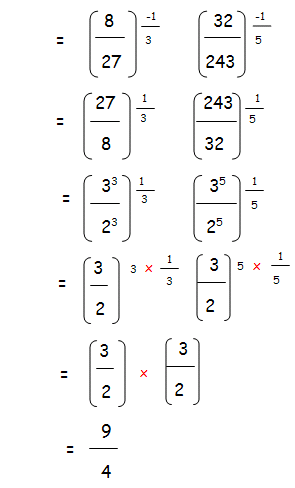 Here we have to apply cross-multiplication method to add the two fractions 1/8 and 1/3 as given below. If the denominators of the fractions are not co-prime (there is a common divisor other than 1), we have to apply this method. A symbol used to indicate square of any number is called radical. The number which is under the root is called radicand. √3 is called square root of 3. How to simplify a radical number? If two same numbers are multiplying in the square root sign,we need to take only one number from the radical sign. In case we have any number in front of radical sign already,we have multiply the number taken out by the number in front of radical sign already. If we have cube root ∛ or fourth root ∜ like that we have to take one term from 3 same terms or four same terms respectively. Let us see example problems on radicals of "basic maths"
First we have to split the given numbers inside the radical as much as possible. 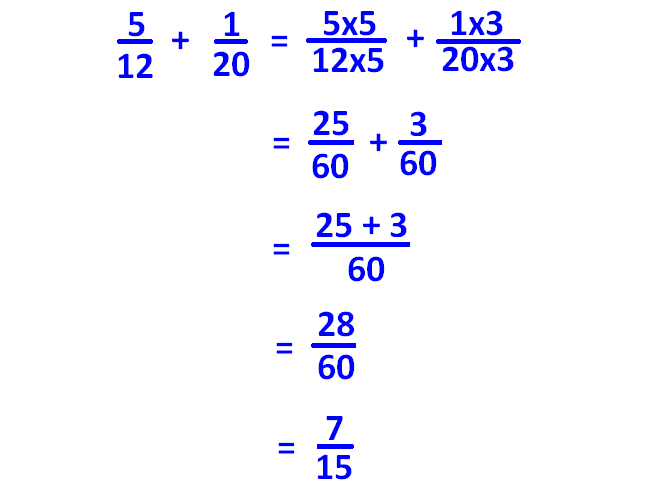 For more examples please visit the page "Simplifying radical expression"
Simplifying fractions means reducing the numerator and denominator as much as possible same numbers. We have to divide the numerator and denominator by the same number at a time. Write the numerator and denominator in single line and draw the L shape. Divide them by common factors as much as possible. If two numbers are not divisible by any common number then we have to leave it as it is. 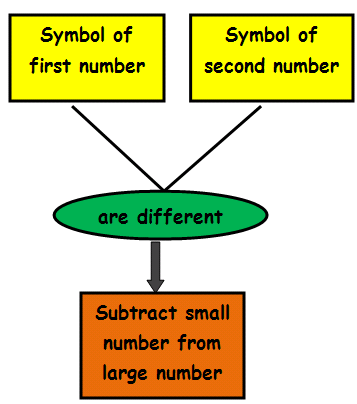 The pair of numbers which is at the last step is the simplified form of the given original fraction. For more examples please visit the page "Simplifying fractions"
Write the given percentage as fraction by taking 100 as denominator. If it is needed, the fraction can be simplified further. That's it. 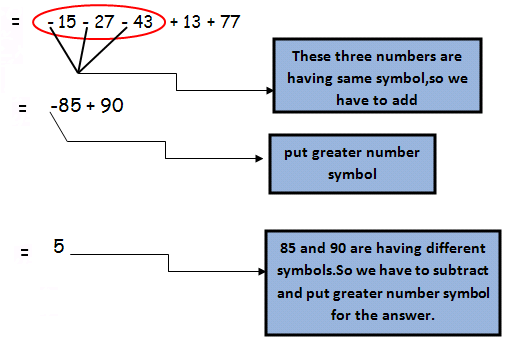 In the process of converting percentage into fraction, we may have the following situations. 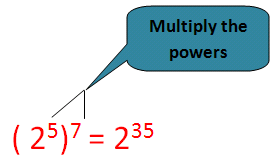 For more examples please visit the page "Converting percent into fraction"
Place value of a digit in a number is the digit multiplied by thousand or hundred or whatever place it is situated. In 25486, the place value of 5 is = 5x1000 = 5000. 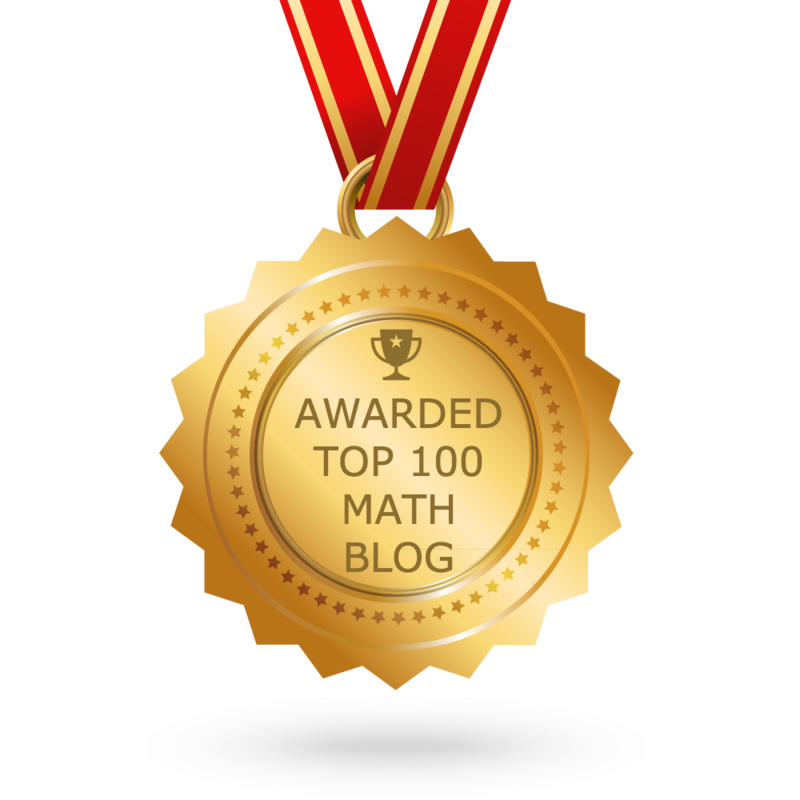 Here, to get the place value of 5, we multiply 5 by 1000. Because 5 is at thousands place. Face value of a digit in a number is the digit itself. More clearly, face value of a digit always remains same irrespective of the position where it is located. In 25486, the face value of 5 is = 5. 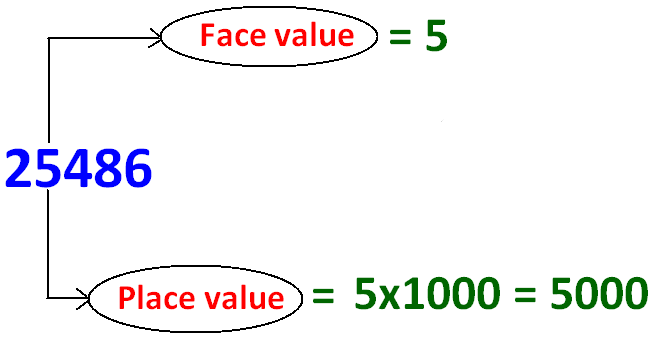 To know more about place value and face value please visit the page "Place value and Face value"
A one-step equation is as straightforward as it sounds. We just have to perform one step in order to solve the equation. We have to isolate the variable which comes in the equation. Here 5 is added to the variable "x". To get rid of 5, we have to take "negative 5" on both sides and solve the equation as explained below. For more example please visit the page "Solving one step equation"